William Bone founded Sunrise Company in 1962 and is Chairman of the Board of Sunrise Company. He is a nationally recognized expert in resort residential, hotel and recreation development having developed 12 country club communities, built over 20 golf courses, constructed more than 15,000 homes, built two resort hotels and developed numerous office buildings, shopping centers and commercial hotels. He is frequently sought as a speaker on how to successfully design, develop and market these types of real estate projects. Born in Bakersfield, California, he received a B.A. in economics from Stanford University and an M.B.A. from Harvard University Graduate School of Business Administration. 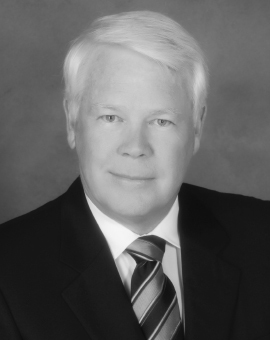 He has served as a Director/Trustee of the Building Industry Association/Greater Los Angeles Chapter; Stanford Club of Los Angeles; World Vision, Inc.; Fuller Theological Seminary; Eisenhower Medical Center; Dunn School; Bighorn Research Institute; College of the Desert Endowment Campaign for Educational Excellence; Los Angeles Music Center; La Quinta Girls and Boys Club; Friends of the Bob Hope Cultural Center; Marshall Industries; Coachella Valley School District Foundation, Palm Desert Foundation; Bob Hope Chrysler Golf Classic; the University of California Riverside Foundation; Vice Chairman of the Urban Land Institute and Chairman and Founder of the Coachella Valley Friends of the University of California. In 2003, Mr. Bone received the “Legends” Award from the National Association of Homebuilders. In 1992 he was inducted into the California Building Industry Association Hall of Fame and also received the College of the Desert’s Alumni Association Hall of Fame Award for community leadership. In June 1991, Mr. Bone was honored by the Desert Area, Riverside County chapter of the Building Industry Association (BIA) for his extraordinary contribution to post-secondary educational opportunities for the Coachella Valley residents. In addition to being selected 1991 Citizen of the Year by the Boy Scouts, Mr. Bone was awarded the Palm Springs Life Magazine’s Builder of the Decade in 1988.